Are you Spoilt for choice? If you can’t decide what experience to pick for your loved one, you can choose a gift card instead. The recipient can then choose to redeem it against any experience up to the value of the gift card. Are you struggling to find the perfect experience for your friend? If you just can’t decide, why not choose a Gift Card and let your recipient pick their own experience? The Gift Card can be used as currency towards any experience on our website and is valid for 6 months from the date of purchase. The whole process is very easy - first, enter an amount equal to or above HK$500 for your Gift Card. 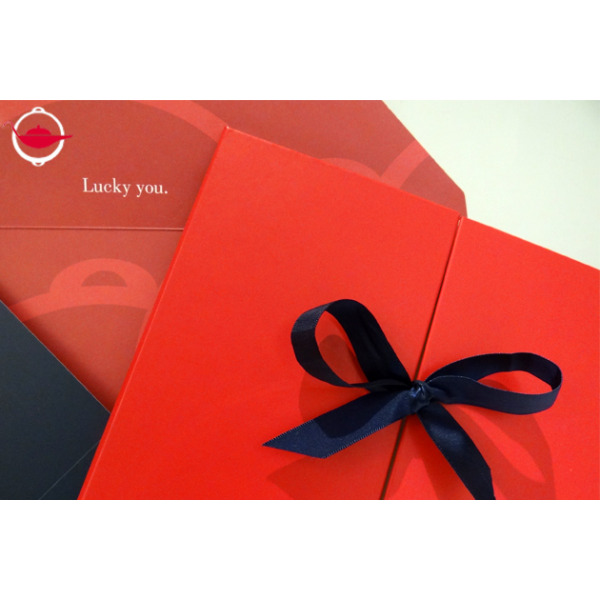 Then, choose your preferred delivery method (by email or by post), and we will send the gift right away! 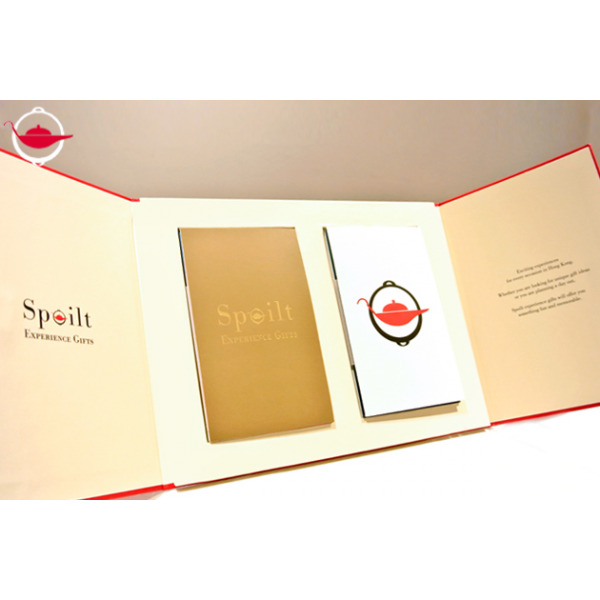 If you choose to deliver by post, the Gift Card comes in our signature Spoilt gift pack! I got a Gift Card, how does it work? Lucky you! You may redeem your Gift Card by first picking your favourite experiences and clicking "Buy Now". Go to your cart and enter your Gift Card voucher code under the Gift Card / Offer Code section. 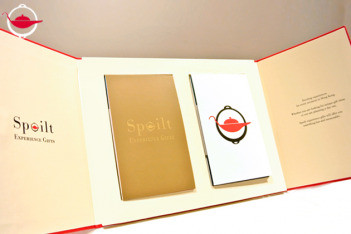 We will automatically deduct the experience value for you based on your Gift Card amount. Book and enjoy your experience! Q: Is this a one-off Gift Card or can I store the remaining value for my next purchase? A: If you have value remaining after your purchase, you can store this balance and use it for your next purchase. 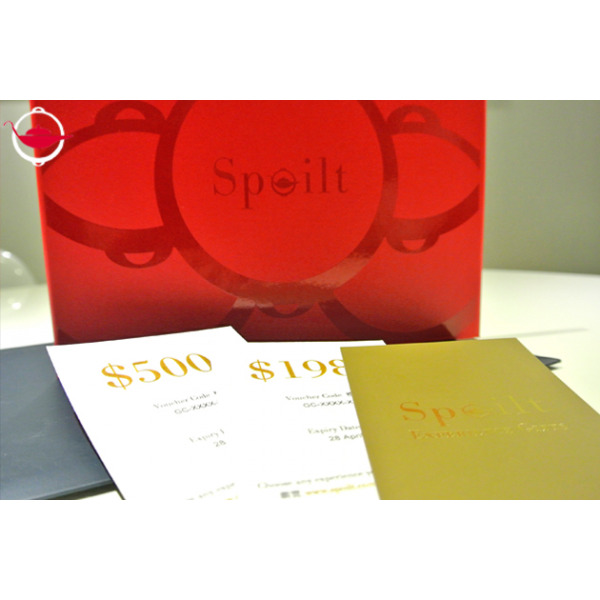 A new voucher will be generated with the remaining value and stored in your Spoilt account. It will have the same validity date as the original Gift Card. Q: Can I order more than one Gift Card at one time? A: Yes, you can. However, in this case, all gift cards must be of the same value. Q: Can I extend my Gift Card validity period? A: Yes, you can extend the validity of your Gift Card by a further six-month period at an additional cost of HK$200. For more details, please see our voucher validity extension policy.